Conservative Leader Andrew Scheer says he told Indian Prime Minister Narendra Modi he wants to find ways to ship Canadian oil and gas to India to meet its voracious energy needs. Scheer said that's the message he delivered to Modi on Tuesday during their meeting in New Delhi, which was part of the Opposition leader's week-long trip to forge economic links and deepen trade with the country. Scheer said he told the Indian leader he is serious about developing the energy sector and getting oil resources to market, including reviving the failed Energy East pipeline that would have delivered Canadian oil to the East Coast, so it could be shipped to India. TransCanada abandoned its Energy East pipeline project last fall, citing non-specific "changed circumstances." Supporters of the project blamed costs and delays due to federal regulatory demands, while others have said it succumbed to simple market forces. In an interview, Scheer said he blames the Liberals, reiterating the criticism he's levelled recently in the House of Commons. "Energy East was on the table. It was cancelled because of Liberal regulatory changes. We continue to have tanker after tanker of foreign oil coming up the St. Lawrence into eastern Canadian markets directly because of the government's decision," Scheer said from New Delhi. During an exchange with Scheer last month in the Commons, Prime Minister Justin Trudeau said the plug was pulled on the project because a private company made a business decision based on the falling price of oil. On Tuesday, Scheer said a Conservative government would remove roadblocks to pipeline expansion so Canadian oil and gas can reach new markets. The Conservative leader made no mention of Trudeau's heavily criticized trip to India earlier in the year, where he was taken to task for dressing up in traditional Indian clothing for a series of photo-ops with this family. Scheer characterized his conversation with Modi as "warm," saying his host wanted his take on the recently completed renegotiation of the North American Free Trade Agreement. Scheer said he told Modi what he has been saying in public. "This was a challenging time for Canada. Obviously what we had under the original NAFTA was very good. Canada prospered greatly from it," said Scheer. "Now, we've given up ground in some key areas, and there's a sense of frustration that some of the big issues that we thought would be resolved like steel and aluminum tariffs haven't been." 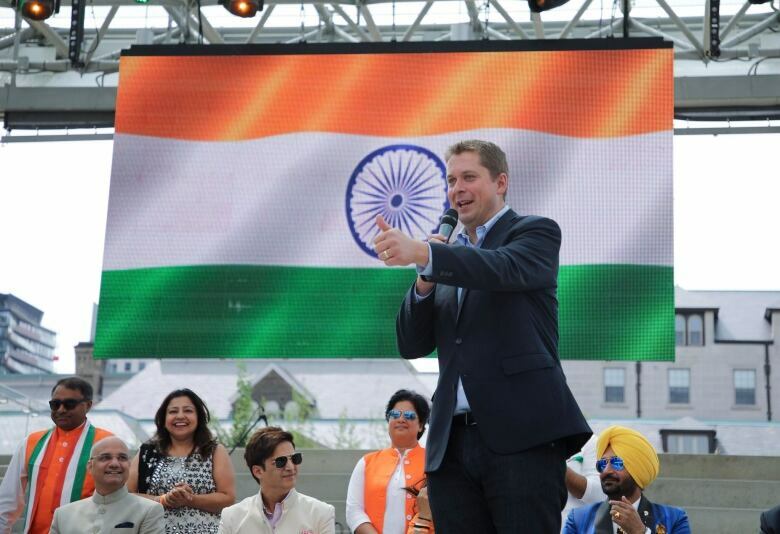 Scheer said he wanted to send a message to Modi that if the Conservatives form government in 2019, they will make India a major focus of efforts to expand free trade agreements. Scheer acknowledged there are still many hurdles to be cleared in pursuing trade with India, but he suggested the country offers better prospects than some destinations. Scheer didn't mention China by name, but he said India and Canada are both Commonwealth democracies with "a similar foundation for the rule of law." 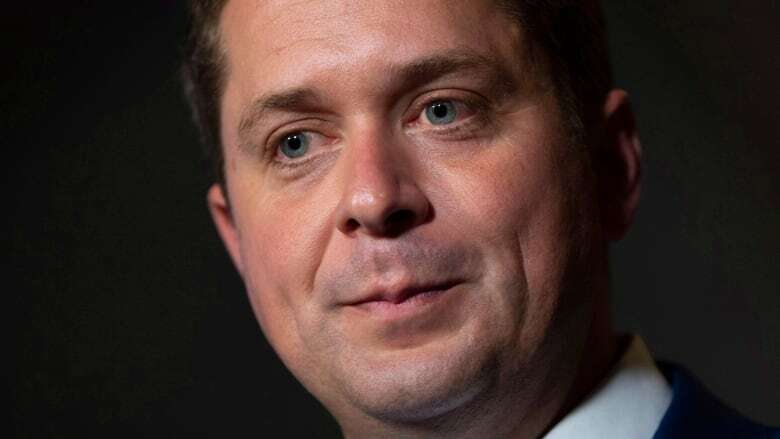 Scheer also held meetings on Sunday with India's foreign affairs minister, Sushma Swaraj, and the minister of state for housing and urban affairs, Hardeep Singh Puri. He is to fill the rest of the week meeting with Indian business leaders. The trip is one of a series of foreign forays that the Conservative leader has been making to burnish his international credentials ahead of next year's federal election. The Conservatives have been hearing a lot lately from their former leader, ex-prime minister Stephen Harper, who just authored a book about the global disruptions in politics and business that have occurred since the election of U.S. President Donald Trump. Scheer said he hasn't read it yet, but added, "whether it's Liberal or Conservative — any time someone has a perspective on what their experience has been as prime minister of the country, it's always interesting."